We’re proud to present our next installment in the Declassified Series! In case you need a reminder, we take two schools, the same class and compare them to see how they’re similar or different. Our first post was written by Annie and Micah and covered Information Architecture. This time around Annie and Rebecca take on reference. Textbook(s): Cassell, K. A. & Hiremath, U. (2009). Reference and information services in the 21st century: An introduction, 2nd ed. New York: Neal-Schuman Publishers. The Pros: Many people see the reference desk as a dying thing. I’ve read quite a few articles that talk about taking away the reference desks and putting in more computer labs. The truth is, the role of the library is changing but that doesn’t necessarily mean that people won’t still have reference questions. Our class tried to really address the changing role of the reference librarian by covering different kinds of resources besides almanacs and encyclopedias, although we did touch on those too. This was one of the first classes I took in library school and I went in without knowing a ton about the library as a workplace. What was great was that it was geared towards someone like me, a total beginner. The Cons: Of course, no class is perfect, including this one. Every week we had to present different resources that would be useful to know while you’re working the ref desk. The downside to this is that it was hard to remember all the different websites, databases and reference books. The other thing is, if you don’t know how to use a database or how to Boolean search, you’re really at a disadvantage. I don’t think it’s safe to assume all library school students know how to really use databases to their advantage coming in. I’ll be honest, I’m still learning. Basically, if you don’t know how to search, you might have a harder time answering a patron’s questions. Another thing: you can’t teach people skills; you have to develop them by actually talking to people. Part of this can be developed in classroom discussions but a lot of it has to be outside in the real world. This class was a mixture of readings, class lectures, and hands on projects. The projects really helped cement the things that we were learning in class. For example, we had to create pathfinders for a subject of our choosing. That was a good experience, now I have some sort of understanding of how to do something like that in case I ever have to. Another project that we did was observing two different reference desks for a couple hours each. That took us out of the classroom and into the workplace. The librarians I met while I was shadowing were all very nice and gave me valuable advice. It made me realize what a welcoming and encouraging profession librarianship is. After we did our observations, we all had to do a poster presentation. At first, I thought, what? Poster presentation? Like a science fair kind of deal? That’s weird. But after doing some research, I realized that poster presentations are kind of big in the library world. Making my own poster and figuring out a meaningful take away was pretty fun. Not that my poster was particularly awesome but at least I have an idea of what we’re supposed to do. Don't laugh, it was my first attempt at a poster. I painted it. I think that the hands on projects, combined with two practicums that tested our knowledge of how to find answers to questions were really effective. Weekly readings from the textbook and articles. Every week, members of the class filled out a sheet about a particular reference resource that was assigned to us. Then we had to present it in a three minute presentation. Create a pathfinder for a subject area and library of our choice. We had two practicums, in which we had an hour and a half to answer five reference questions. Observe two reference desks and create a poster presentation *with* take-aways. Syllabus: Dr. Moeller is actually teaching at another school now but you can see examples of other syllabi here. This professor is also the first teacher that I felt comfortable enough to talk to and express my doubts about my own abilities. Library school students range from professionals who have been in the field for years and new students like me who had minimal experience. It can be really intimidating in class discussions to hear people throwing around jargon when you are a n00b. When I told my professor this, she told me that I would be talking the talk and walking the walk soon. She also told me that she would never think someone didn’t belong in library school, as long as they had the passion. How cool is that? I walked out of the classroom that day feeling much better about my choices. As I mentioned in my Hack Your Program post, reference is one of the required core classes. I really didn’t have a choice in taking this class but I was able to walk away with some great experiences. My professor really put it best when she told me that she can only meet students halfway, they have to bring something to the table too. Cassell, K. A. & Hiremath, U. (2009). Reference and information services in the 21st century: An introduction, 2nd ed. New York: Neal-Schuman Publishers. Ross, Catherine Sheldrick, Kristi Nilsen, and Marie L. Radford. Conducting the Reference Interview. I love, love, love that this course was taught by a working librarian; in fact, this course is offered in other semesters and is taught by a well-respected professor but I decided to go for something different. Bonnie brought a wonderful perspective to our discussions about providing reference and I always left the class invigorated and inspired about the future of librarianship. She spoke frankly about the difficulties of reference work during this tumultuous time and as a class we developed ways to reinvigorate the reference position. Its true, as Annie said, that the reference desk seems antiquated, but this course really taught me the value of being able to effectively find the information people can’t find for themselves. While the course was tremendously helpful in developing practical skills, the overall coursework wasn’t very challenging. Additionally, the Reference and Information Services in the 21st Century text was terribly boring–essentially a list of useful or interesting resources. This was a 20-person course in a classroom. The first half of class was a lecture about reference resources for particular types of information (legal documents, statistics, genealogy, etc.). After the lecture, a student pair would give a presentation (see below in “assignments”) and then we usually had a discussion about principles of librarianship or where librarianship as a profession was headed. Over the course of the semester, we were expected to contribute 4 reference answers to the Internet Public Library (ipl2) database, which is a free online reference service. Though we answered real-life questions to real patrons, we also turned in our answers for a grade. This was by far my favorite aspect of the course. It provide practical experience within the safety net of an academic course. In fact, I’m still volunteering with ipl2! Every other week we were given a list of reference questions on a particular subject (such as biographical or geographical questions) that we had to answer. We could find the answers using any appropriate source, but we typically used the sources we discussed during the lecture. In pairs, students familiarized themselves with the intricacies and specifics of an online database and presented it to the class. Because librarians often hold trainings on using an online resource for their departments, our instructor wanted us to experience the process. My particular database was ISI Web of Science and yes, I am now VERY familiar with the peculiarities of the search functions. Finally, we were each asked to evaluate two reference interactions–one in person and one virtually. We posed reference questions to a library of our choice and then evaluated our experiences, citing course materials for justification. Syllabus: Our syllabus can be found here: UTrefSyllabus. I absolutely LOVED this course. As an iSchool, UT tends to teach the theoretical, preferring for us to develop strong instincts and establish sturdy theoretical foundations. This is one of the things I love the most about the iSchool. However, this class was very practical and hands-on which let me put some of that theory to use; after finishing the course, I applied for a reference position at the UT libraries which I would never have done without taking the course. For someone with very little library experience prior to library school, this course could not have been more beneficial. At UT, reference is not a required class but is recommended for anyone going into a library position. I personally would recommend that anyone who will have to answer reference questions in any setting (public, law, archives) take a reference course; I learned valuable skills in conducting a reference interview and how to navigate patrons’ access to information resources. I find it interesting that not all schools require that you take this course. I’m not really sure what is the best way to teach or learn something like reference. To me it seems like a skill that you need to develop while you’re at the desk. What’s really cool about Rebecca’s class is that they actually answered real reference questions. We did class exercises, which helped but like I said, you can’t really teach customer service. Reference is actually not required (exactly) at FSU. We have a course called Assessing Information Needs which sort of serves the same purpose. However, I was chatting about this with someone yesterday, if I had to work a reference desk right now, I would have little to no idea what that work would entail, or how best to do it. Now, I’m not a dummy and I enjoy helping people and have experience with the Q&A method to find what they really want from my work with students as an advisor, but it would be a challenge for me. So here’s the question: is Reference a necessary skill for a contemporary librarian? Or is information seeking/digital literacy replacing this skill? Is this a Public Library-specific skill (ooo… challenging the “big tent librarianship” idea?!? wha?)? What do you all think? I think reference is still a necessary skill for contemporary librarians. Reference services encompasses any service or skill librarians provide that assist the customer/patron in finding the information they need. And no matter how digitally literate our society becomes, the librarian’s help will always be needed. Being able to conduct a successful reference interview, having knowledge of quality resources, developing and executing good search strategies, evaluating resources, and being able to instruct others in finding information are all crucial skills. I think all librarians need these reference skills, but they would apply them differently in various environments. Micah, I’ve been sitting on your question for a day now because I wanted to give you a good answer! Aaand, yes. Well, mostly yes. I don’t see instruction and reference as two different things–I NEVER have a reference interaction wherein I don’t teach the patron something about searching for information. In other words, you can’t do reference without doing digital literacy. So, yes its still relevant and no, it isn’t public-library specific. My reference job is at a top research institution! How do you feel about reference not being a required course for a library degree at UT? I did not know that little factoid. Enjoyed the post, Annie and Rebecca – I remember my reference course not so long ago. Don’t fret – a few good reference questions from patrons answered makes one feel much better (and puts a spring in my step – the work required to answer those questions is very enjoyable to me). Jason, because the school is an iSchool and not a library school, I’m ok with it not being a required course. While I think its necessary for anyone working in a public service environment to take a reference course, I would be annoyed as a Information Architecture student (for example) to have to take it. In my experience, there was a required Reference class (Foundations of Reference service) and an optional Reference class (which required a 40 hour practicum). Thanks for the insight Annie and Rebecca! I did not know that a reference class was optional for some schools either. I attend CUA, a library school, and a reference class is required (“Information Sources and Services”). I actually just completed the course this summer, so it’s all still fresh. I have to say that of all my required courses, the reference class was my favorite. I have worked for almost two years in a public library as a library associate at the “Information Desk,” but I feel like I had more to learn. Mainly fine tuning my reference interview technique, and gaining more knowledge of different search engines, databases, and digital reference resources. Although I won’t stay in public libraries (medical libraries are my goal), I definitely plan to stay with reference/information services. Reference is also not a required course at SJSU. I’m not sure if I plan on taking a reference class at all since I already provide IM reference at work and will be starting on the Ref Desk in the fall. In response to Micah’s question, I absolutely think reference is a necessary skill for contemporary librarians. All libraries and archives provide reference assistance in some way — whether it’s virtual and/or in-person. I don’t think information-seeking will replace reference, but at its core is part of what reference is. Its fascinating how different schools approach this subject. My reference course at UNT was required…and awesome. It was a really nice balance of theory and practice. 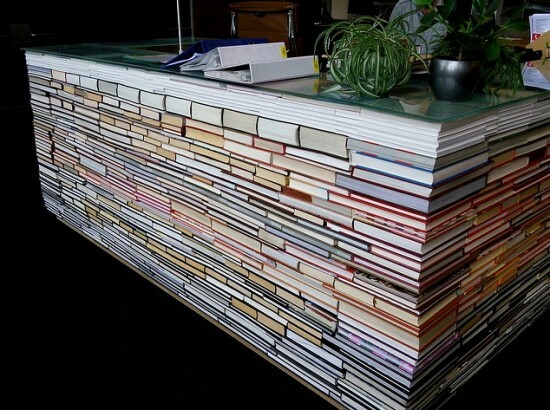 If I had to sit at a reference desk today–I think I would be functional (with much still to learn, of course). Micah: I’m with Rebecca, reference, digital literacy and instruction go hand in hand. I think the need for reference assistance will prevail in many types of libraries (though it may look different). Speaking as a youth librarian in training, I think the need for reference assistance will remain strong in information centers serving youth. No matter how sophisticated and intuitive reference and information resources become, children will still need an introduction.